AutoXlsTable fully integrates Excel into AutoCAD/MicroStation/IntelliCAD. It can create table in AutoCAD/MicroStation/IntelliCAD or import Excel spreadsheet into those CAD environment. You can edit the imported table and keep it updated to original Excel spreadsheet. Besides, you can perform block/area/length real-time calculation. Ideal for creating Schedule & BOM. High data conversion speed, up to 300% against the old version. Range Import gives users the flexibility to Import part of an Excel worksheet. 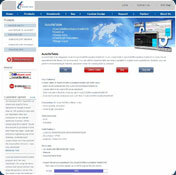 Users can specify a Range of cells for importing. Be able to separate table geometry into Text and Borderline layers. Be able to edit table with Excel over and over. Update table whose original Excel spreadsheet was modified. This feature can keep your AutoXlsTable updated to its original Excel spreadsheet. You can update table whose original Excel spreadsheet located in another computer of local area network (LAN). It's a fast method for collaborative working. Be able to switch between Excel text properties and AutoCAD/Microstation/IntelliCAD's. Calculate block quantity in different layers or current drawing based on its attribute, with the capability of real-time update. Calculate group area/length in different layers or current drawing, with the capability of real-time update. Create schedules and bill of materials presents many unique challenges. Among them are creating advanced table, performing block calculation, cost estimation and keeping it up-to-date. You cannot download any crack or serial number for AutoXlsTable for AutoCAD on this page. Every software that you are able to download on our site is legal. There is no crack, serial number, hack or activation key for AutoXlsTable for AutoCAD present here. Our collection also doesn't contain any keygens, because keygen programs are being used in illegal ways which we do not support. All software that you can find here is freely downloadable and legal. AutoXlsTable for AutoCAD installation package is prepared to be downloaded from our fast download servers. It is checked for possible viruses and is proven to be 100% clean and safe. Various leading antiviruses have been used to test AutoXlsTable for AutoCAD, if it contains any viruses. No infections have been found and downloading AutoXlsTable for AutoCAD is completelly problem free because of that reason. Our experts on malware detection tested AutoXlsTable for AutoCAD with various spyware and malware detection programs, including fyxm.net custom malware and spyware detection, and absolutelly no malware or spyware was found in AutoXlsTable for AutoCAD. All software that you can find on our servers, including AutoXlsTable for AutoCAD, is either freeware, shareware or open-source, some of the software packages are demo, trial or patch versions and if possible (public domain licence), we also host official full versions of software. Because we want to be one of the fastest download sites on the web, we host all the software including AutoXlsTable for AutoCAD on our servers. You cannot find here any torrents or download links that would lead you to dangerous sites. Rate AutoXlsTable for AutoCAD 3.0!